Retargeting is the practice of delivering highly-targeted advertisements to visitors of your website after they have left your website. Based on the pages they visited and/or didn’t visit you can create insanely relevant advertisements in an attempt to try and get them to come back and hopefully convert. For example, if you’ve ever began purchasing an item on an eCommerce website and then left prior to actually purchasing the product, you’ve probably noticed ads that have followed you around from that website that are promoting the exact product you began the process of purchasing. When you began the purchase process that website placed a cookie in your browser that uniquely identified you. The fact that you didn’t visit the final checkout page, and actually purchase the product, is what triggered the ads for that product to be pushed to you as you surf the web. Any website you visited after that point that runs ads from a general ad network then served that insanely relevant advertisement to you. It’s fairly common for these retargeting ads to be served up to you for 90 days after you’ve triggered them. Why should I retarget my visitors? Because retargeting is the most cost-effective form of display advertising and you are likely missing out on lots of conversion opportunities if you’re not already doing it. Lots of times visitors will become distracted when browsing the web and retargeting acts as a form of insurance that you don’t lose them forever due to a minor distraction that may take place as they visited your website for the first time. It’s dirt cheap and extremely cost-effective so long as you earn money from your visitors through some form of conversion. 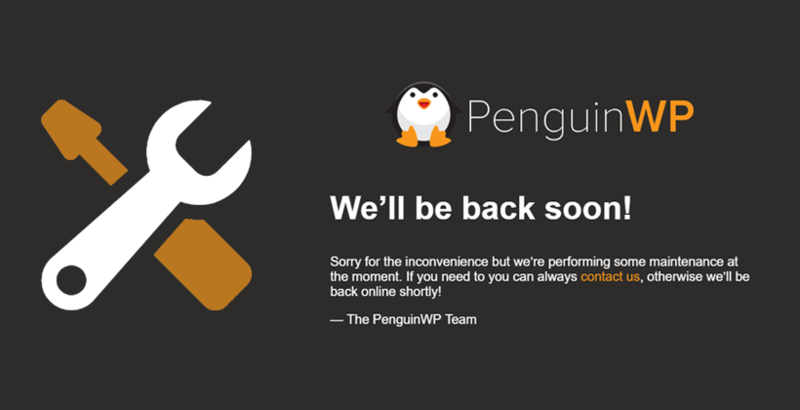 While it depends on how many visitors you want to retarget. Keep in mind that you’re very likely only going to want to retarget a segment of your visitors that have navigated your website in a way that you’ve decided it makes sense to retarget them. To get a sense of cost for retargeting on your website simply look at the Google Analytics All Pages report for your website and use the “Visits with Conversions” segment to see which pages people are visiting that result in conversions. If you don’t have goals setup in Google Analytics you can instead just decide which pages people would visit that would indicate they are more likely to convert. Then add up all the visitors to those pages in a month’s time and multiply the total by $0.04 and you’ll have a pretty good idea of how much retargeting them would cost you on a monthly basis. Why should I use AdRoll for retargeting? 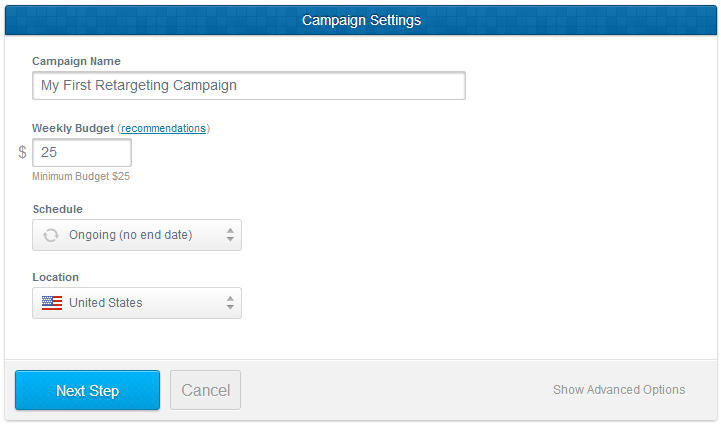 AdRoll makes it incredibly easy to setup retargeting campaigns and they have stellar support if you run into any problems. 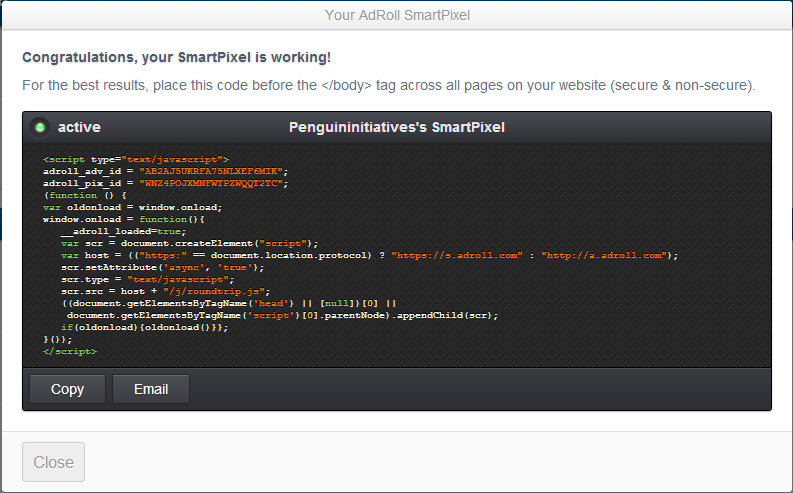 You don’t even have to login to your account once you have your retargeting pixel code setup on your website. You can just tell them what you want setup and how and they will happily make it happen for you without charging you for labor. They’re the best in the business of retargeting, hands down. In addition to being incredibly easy to use, they are partnered with all the major online advertising exchanges and networks. This means you don’t need to bother setting up retargeting in a bunch of different networks to get good coverage. AdRoll provides coverage for 98% of the web! There’s no reason or need to bother doing retargeting through anyone else, because their network already includes everyone else. How do I start retargeting my visitors with AdRoll? Sign up for an AdRoll account. Enter the promo code “freetrial” to enjoy a free $60 credit for retargeting for the first two weeks of your new account. 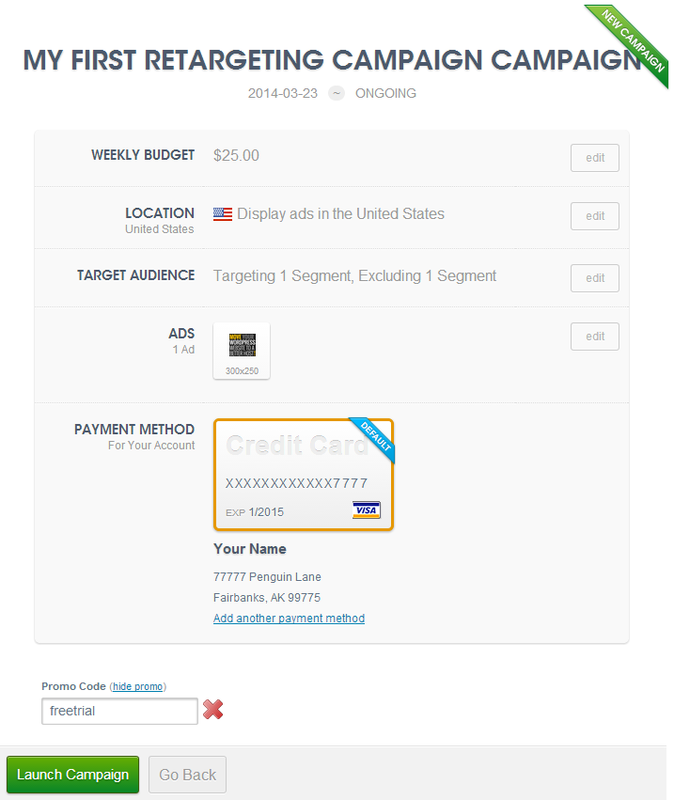 Create your first retargeting campaign. Create your first user segment of the visitors to your site that you want to retarget, based on a page of your site they visited. Create as many as you see fit. Create a conversion segment of the visitors to your site that you don’t want to retarget, based on a page of your site that they visited that you consider to be a conversion and set a conversion value. Create as many as you see fit. Exclude visitors who already converted from being retargeted so you don’t retarget them. Unless of course you want to retarget them for an additional type of conversion, in which case you should setup an additional campaign for this audience. Upload all of your advertisements for your retargeting campaign. Make sure to use UTM tracking parameters in your advertisement’s URLs so you can track your campaign results effectively in Google Analytics. Enter your payment information and remember to enter the promo code “freetrial” to enjoy a free $60 credit for retargeting for the first two weeks of your new account. Then launch your first AdRoll retargeting campaign! Continually track & optimize your retargeting campaign(s) to maximize success.